Thanksgiving is just around the corner. I'll be going elsewhere for my turkey, but that doesn't mean that I am off the hook for making certain dishes - in fact, I wouldn't want to be off the hook. So, what am I making? Three dishes - cheddar baked mashed potatoes (made them last year and they were a hit! ), green beans with garlic vinaigrette, and maple cider spinach salad. Hope you all have a wonderful Turkey Day!! 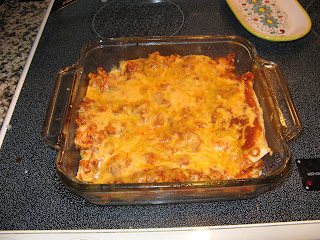 When I was growing up, my family never made traditional casseroles for dinner. There was really no need. We were an Indian family, so if we were going to make any type of casserole, it would have been an Indian-flavored casserole anyways, with cilantro and cayenne pepper, and maybe some turmeric. So, as I became older and listened to my friends talk about how their moms and dads prepared tater-tot casserole or a hamburger pie casserole for dinner, I was completely floored, and a bit envious. The casseroles they described sounded so…homey…so…comfortable. What they were describing was pure comfort food. 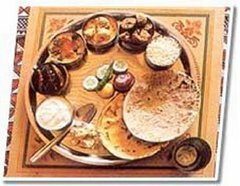 For me, comfort food was, and still is, chicken korma or shrimp biryani. It’s chicken spaghetti folks. And it rocks. 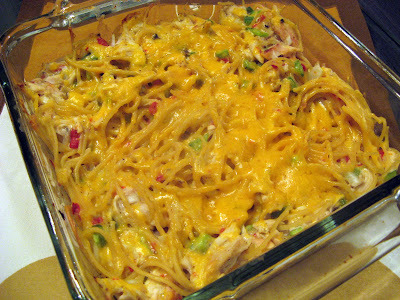 Mix together in large bowl: cooked spaghetti, diced chicken, pimentos, mushroom soup, bell peppers and cheese. Pour into a large casserole dish and sprinkle ½ cup of cheddar cheese on top. Bake for 45 minutes in a preheated oven. The hard drive on my desktop computer died last week. This is the second time this has happened since the computer was purchased only 18 months ago! I’m not going to name the maker of the computer, but it rhymes with Hell. Appropriate, isn’t it? Did I mention that the computer has ALL of my photographs on it and lots of my recipes? Oh yeah, it does. And no, I didn’t back up all of the pictures on a zip drive because, seriously, who uses zip drives anymore?? If “Hell” doesn’t send me a new hard drive, which would be the third in 18 months, then I’ll have to seriously think about buying a new computer. Maybe I’ll get the one that rhymes with…Snapple. Yes, the Snapple computer should work. I certainly don’t think that Snapples would run out of juice so quickly (I know, it’s a bad pun). Preheat oven to 350 degrees. Spray pyrex baking dish with cooking spray, and set aside. Heat oil in large skillet. Add onions and garlic. Saute until onions become translucent and soft. Add ground chicken. Once chicken is browned, drain excess liquid, if any. 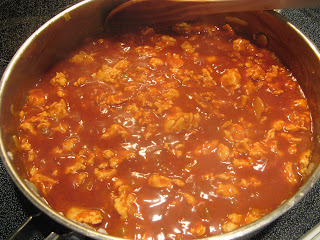 Add can of enchilada sauce to the pan. Heat through. Mix in the green chiles. 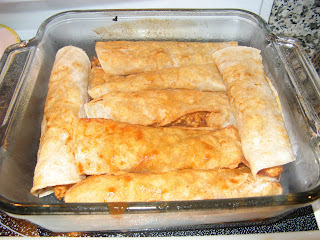 To assemble the enchiladas: heat each tortilla in the microwave for 15 seconds to soften it, then add some of the chicken-sauce mixture inside the center of each tortilla and roll it up. Place it in the baking dish. Repeat this process until you have all of the tortillas rolled and placed in the baking dish. 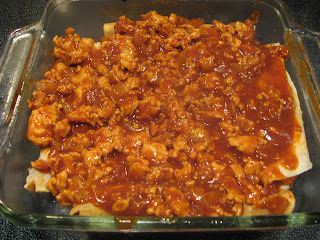 Once completed, spoon some of the sauce on top of the tortillas. 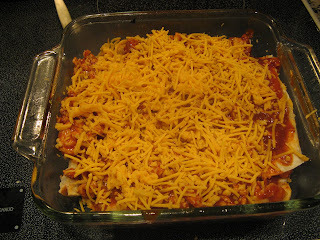 Then add the shredded cheese and place in the oven for 10 to 12 minutes, just until the cheese starts to melt.